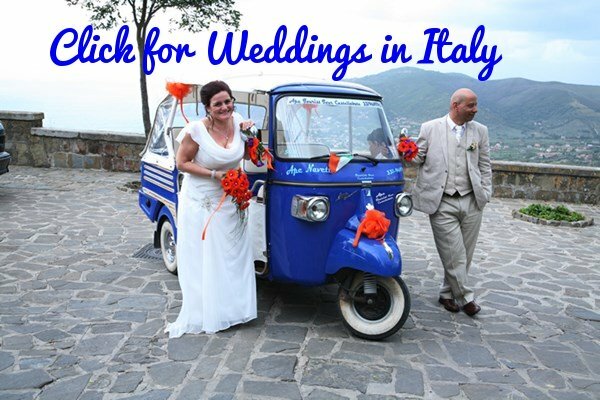 Want to stay connected in Italy? There's no need to rely on the patchy WiFi offered by hotels or expensive roaming? Here's the best solution. Venice Italy is full of secret places; this page is focused on those most Venice Tourism guides seems to miss. Join me, Maria, in exploring La Bella Venezia. A city I love! Best Way to Discover Venice? Many of Venice’s secrets are discovered by simply walking around without a destination in mind. By venturing down the little lanes and alleyways you'll be amazed at the incredible canals, squares and ancient sights you'll stumble upon. Don't want to explore on your own? 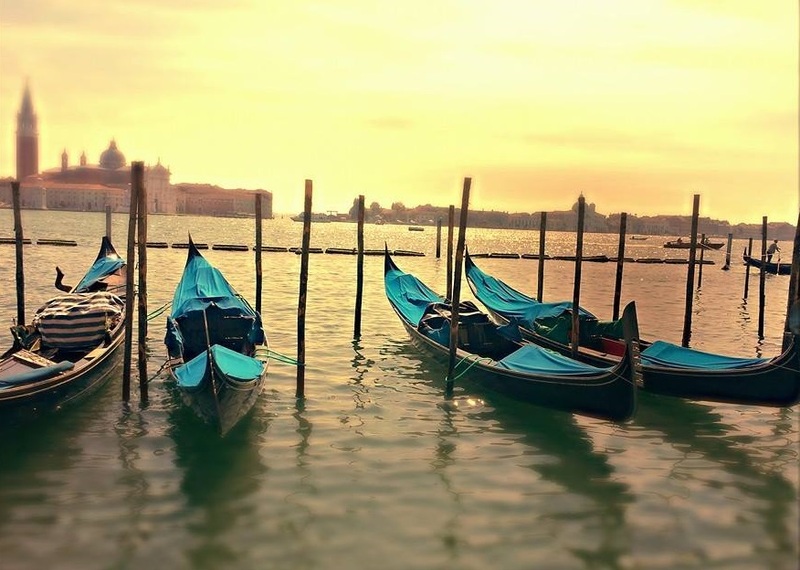 Then explore Venice with an expert (click for details). Even if you know Venice this will save you a LOT of wasted time standing around for hours waiting to get into places. Our Tip: Stay away from hotels around St Mark's Square. In other gorgeous parts of Venice you'll find great hotels at very reasonable prices - I've the best ones for you right here. If you aren't sure where a place is just visit our Venice Map page. A breath of fresh air after the crowds of tourists in the San Marco district, this is the real Venice, a place where Venetians still live and go about life oblivious to the theme park world of St Marks Square. It is also a part of Venice that has one of the most magnificent buildings in the whole city. Click for more. A nice peaceful escape and a great place to take the kids camping for a few days, more of a naturally beautiful place rather than one offering much in the way of man-made wonders.. The Southern Lagoon is a bird watchers paradise with a range of rare species including the black-winged stilt and grey heron. I don’t know much about bird watching but friends who do tell me this is a superb place. 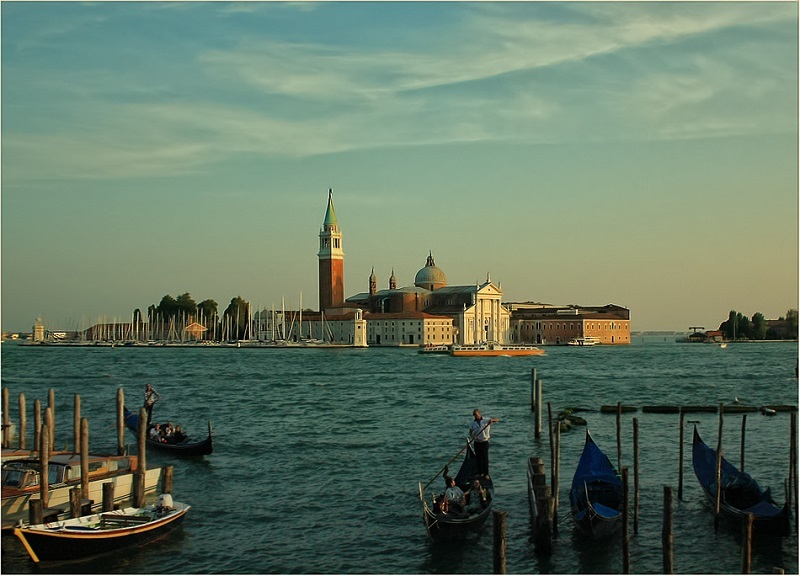 The southern lagoon area has only recently been opened to Venice tourism with the onset of the ATN boat company tours – conducted in English, German and French. The bits I like best on these tours are the ancient old fishermen’s huts perched on stilts and an old hunting lodge which is starting to fall apart. Read more here. Venice is not only historic buildings, the city has some idyllic parks, quite corners that allow you a little time-out to reflect before heading back into the hustle and bustle. The Giardinetti Reali (Royal Gardens) is the best of the parks – this park owes its existence to Napoleon, who perhaps wanted some greenery to remind him of Paris while he was in Venice and, at least to me, the gardens seem very French in style. 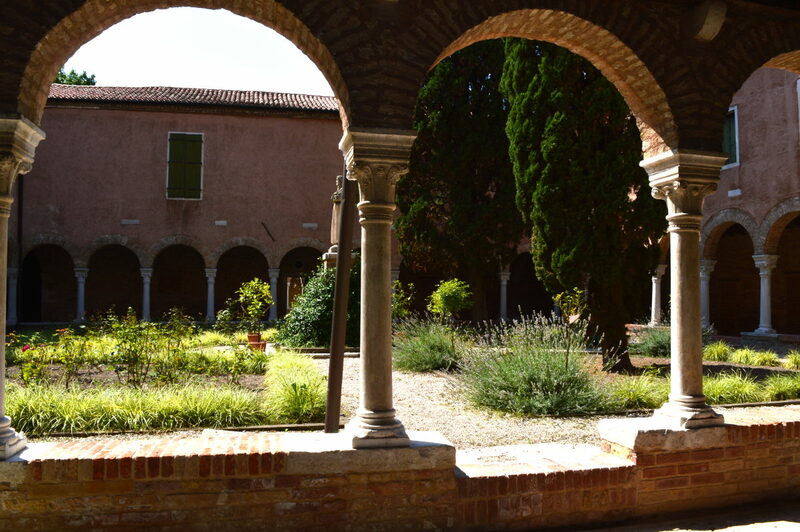 There are also some absolutely wonderful cloister gardens; these I love most. I sit quietly, often all alone, a sense of peace comes over me and the hustle and bustle of Venice seems a million miles away. For more read my article. Just a short boat ride away from Venice lies another smaller version of the city. One where the welcome is always warm and the bright and happy nature of the inhabitants is matched only by their colorful houses. It's the perfect place to sample local seafood dishes too at a fraction of the prices they charge in Venice. 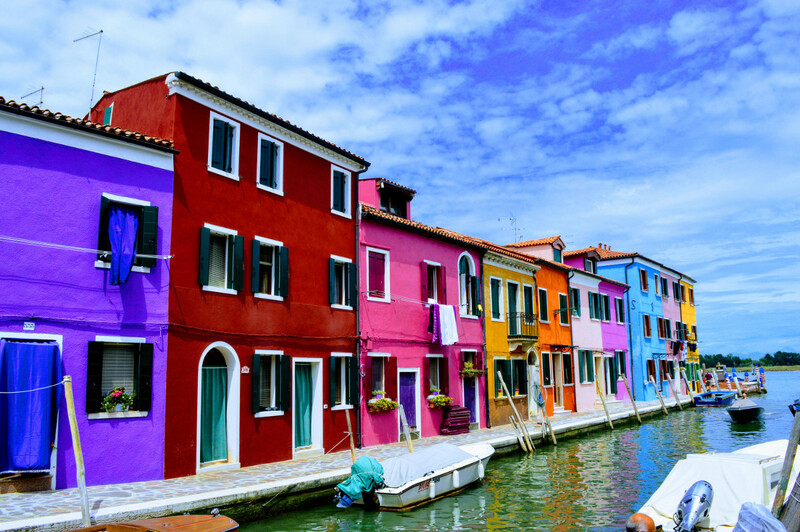 Here's all you need to know about Burano. Both of these buildings are architecturally important examples of 17th century Venetian architecture. Cà Zenobio has some great works of art by important artists of the period – while Cà Rezzonico houses a delightful Venice museum on 17th century Venetian life – you can read a little more about Cà Rezzonico under our Dorsoduro section. Like Dorsoduro, Cannaregio is one of the few places where you'll find the bars and restaurants full of genuine Venetians and you'll even see shops selling useful things and not just tacky souvenirs. Prices too are fairly reasonable, at least compared to St Marks, and it does have some interesting sights of its own. Read more about Cannaregio here. Perhaps the most shameful part of Venice’s history and the first Jewish ghetto in Europe, in fact this is where the word ghetto originates. There is a Jewish Museum which provides an insight into what life must have been like in this ghetto. The area has until recently been a largely forgotten part of Venice, tourism here is starting to grow so enjoy it while you can. Walking around the cramped alleyways and along the narrow canals here is well worth a morning. Click for more on the ghetto and its history. Mainly a working class area that can seem a little run down, despite this the area is worth a visit. Hidden away here and there are some very interesting places and this is most certainly one of those parts of Venice tourism has not touched. The oldest Greek Orthodox Church outside of Greece/Turkey, San Giorgio dei Greci, is found here. Dating back to the 16th century it was the centre of Venice’s once fairly large Greek community – a community that had a profound influence on the city and contributed to the Byzantine look so prevalent in Venice. For more on Castello read our guide here. A haunted castle in Venice? Well I suppose it is more of a haunted palace. Built in 1487 Ca’ Dario is not the sort of place you want to own but if you do feel rich and brave then I believe it might be for sale again. Since it was first built this very unusual and strangely beautiful building has led to the deaths of nearly all who have owned it. The long list of victims includes the manager of the rock band “The Who”. Brave enough to want to learn more? Click here! The Santa Maria Gloriosa dei Frari (friars in Italian) was the first church in Venice built by the Franciscan Friars, the church dates back to the 14th century. The simple no nonsense elegance of the church is in keeping with the lifestyle of the Franciscans. Inside though it contains some very significant art works by Titian, including the magnificent Assumption. Read more about the church here. 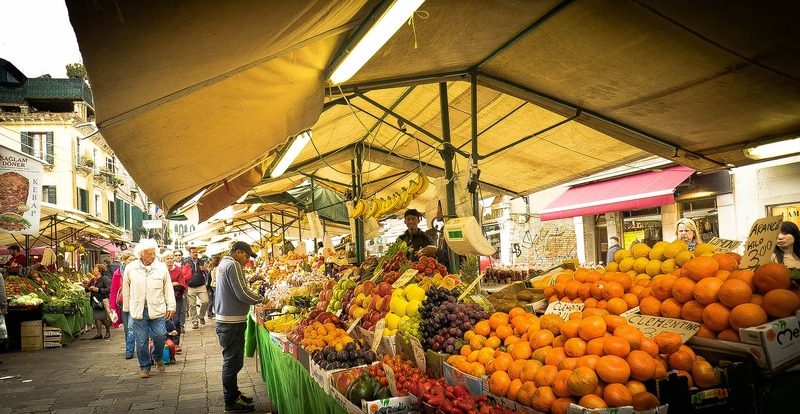 In the San Polo district of Venice you will find this bustling market for fish, fruit, vegetables flowers and much more. 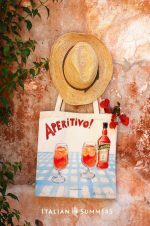 The market offers a cheerful, colorful and spectacular show of real Venetian life and is a good place to do your shopping. The prices here are far below anywhere else in Venice and the range and quality of products on offer is incredible. This is where the people of Venice Italy come to shop. The market starts from dawn and the best quality products go early. From around 8am you can often pick up good bargains from stallholders wanting to sell off what they have left. Not one of the "traditional" sights of Venice this is still a definite must-see. I can spend hours in here. Read more and see the photos of this incredible bookstore here. 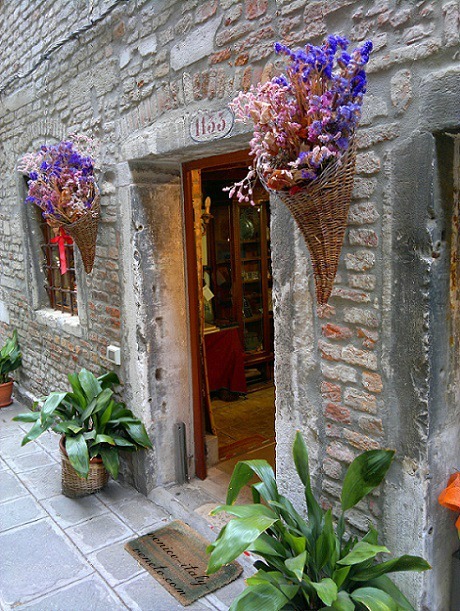 The hunchback of Rialto, opposite the Church of San Giacomo, has an intriguing history. Dating back to 1541 it was originally intended as a place of official proclamation. It was also the place the naked offenders, guilty of minor transgressions, had to kiss before being forgiven and pardoned. A rather dull looking church but artistically and architecturally this is one of the most significant of Venice's churches. More in my article. 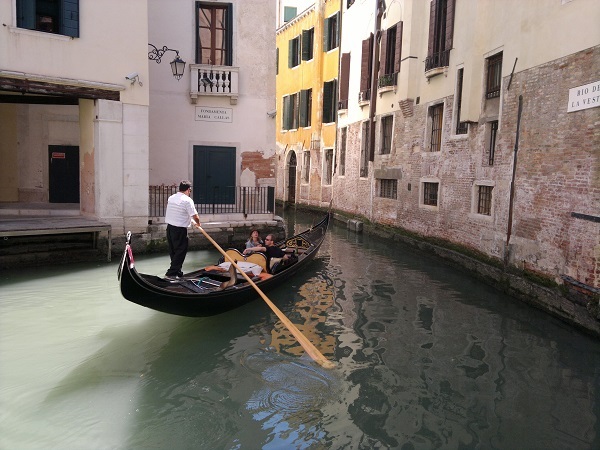 Venetians, like all Italians, love their after lunch and dinner strolls – passeggiata as they are known in Italian. Venice’s most famous promenade is the Riva degli Schiavoni, situated just off St Marks square. The walk along here is lovely, particularly on a fine summers day when the canal is abuzz with life, the view across to the island of San Giorgio Maggiore is magnificent, and the Riva is full of people enjoying the sunshine. 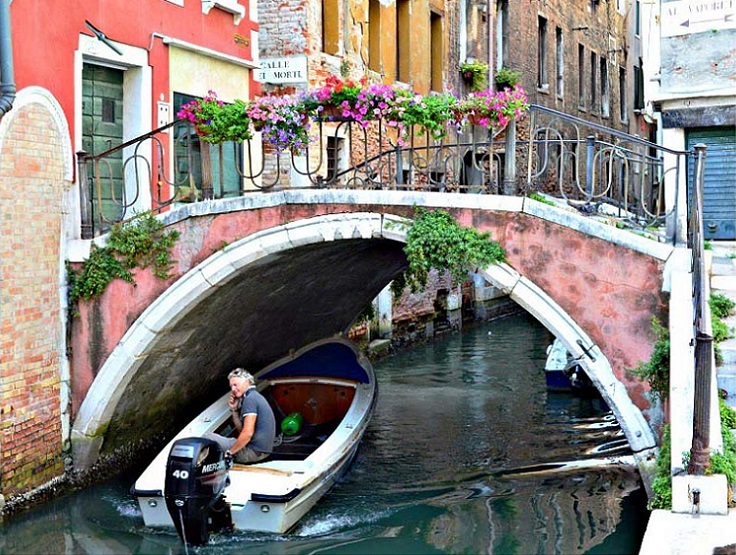 This is pretty much a part of most Venice tourism itineraries but it is well worth doing. 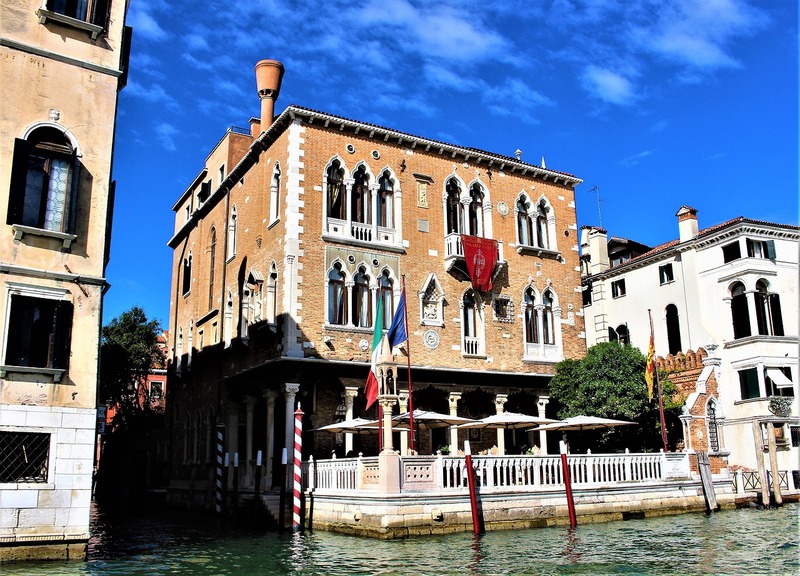 The Metropole hotel in Venice's Castello district and right on the Riva degli Schiavone is a superb place to stay. For more on the Metropole Hotel click here. Looking across from St Marks square the island of San Giorgio is an incredibly lovely sight and yet relatively few tourists make it over to the island. 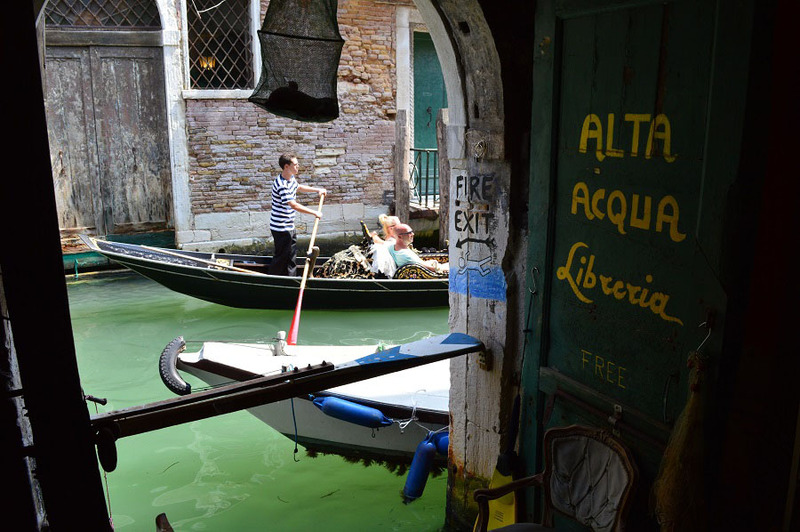 Don't make the same mistake - the journey over on the water bus is easy and well worth the effort and it certainly should be one of the major Venice tourist attractions. For more on the island click here. Need a place to stay near here? How about staying on a boat right near by? The famous Sarah Sun is the answer! 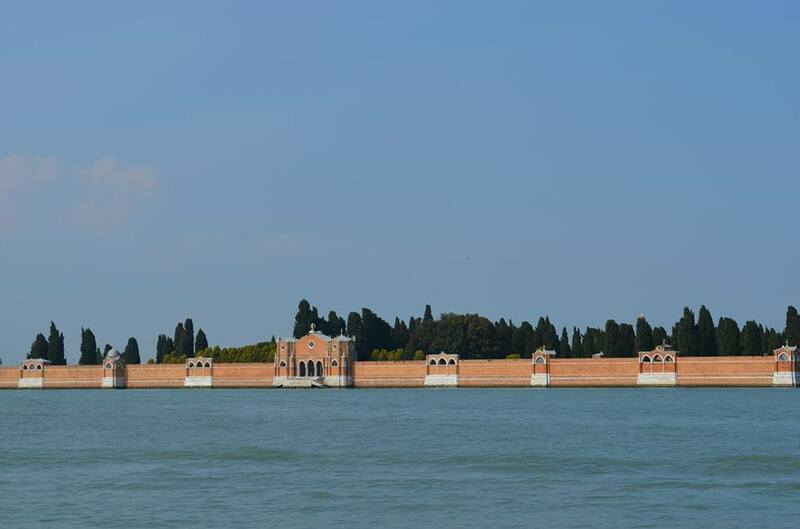 You can visit here with the number 42 water bus which makes a stop at Cimitero (cemetery). Why you should visit a cemetery while in Venice Italy – well firstly because it is a touching insight into the history of Venice through the ages and secondly it somehow seems especially sad being located on an island entirely dedicated to the dead. Many a famous Venetian and a whole lot of foreigners are buried here and the names are indeed impressive, ranging from Ezra Pound through to Stravinsky. In Venice tourism has indeed been popular for centuries. The cemetery is divided into Catholic, Protestant and Orthodox sections making it fairly easy to locate specific graves. Please remember to dress with decorum and show respect as this cemetery is still in use and many Venetians are there to visit the recently deceased. If you would like to visit the Big Six sights of Venice tourism, then you can view our Essential Venice Tourism Guide here. Visiting Venice? Then don't miss these 6 bucket list destinations nearby. 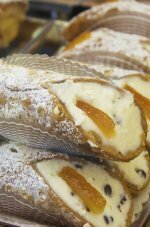 For tours of Venice Italy try these.